You guys know I love a good reader request, so when Paige asked about Thrive Market, I started keeping notes on how I use it, the pros and cons, and my favorite items. 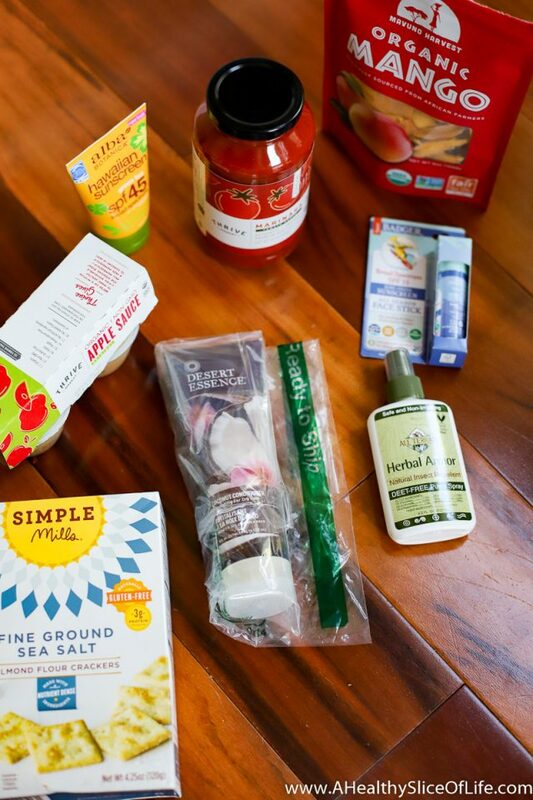 Thrive Market is an online grocery store that offers organic and natural foods, cleaning supplies, and other items. It’s a membership community that uses the power of direct buying to deliver healthy food and natural products at wholesale prices. They also sponsor free memberships for low-income American families. 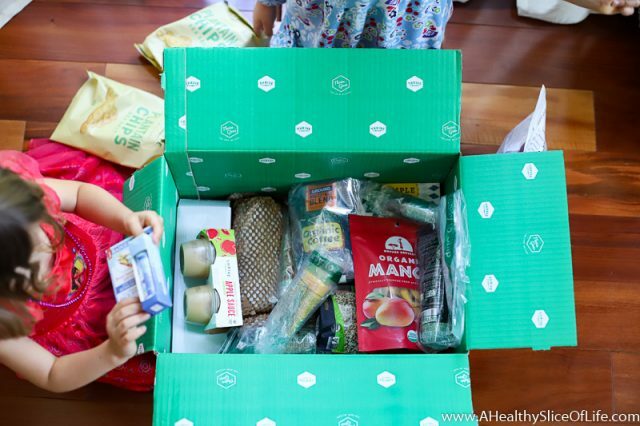 In short, it’s like a health-focused Costco that delivers to your front door! 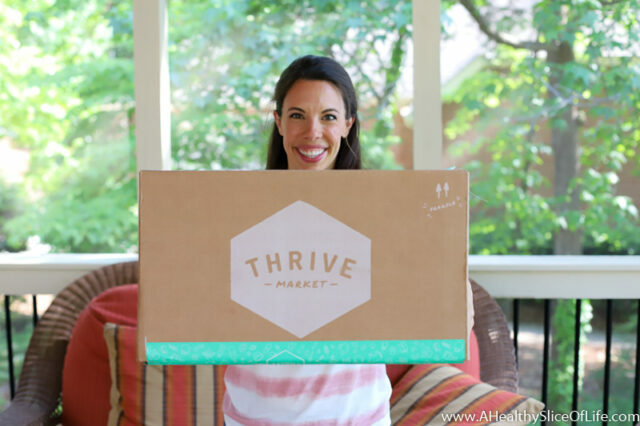 Thrive Market charges a membership fee of $59.95 a year. They say this fee allows customers to enjoy wholesome products at wholesale prices because they don’t have to mark up products like other stores do. You can shop by category (food, pet supplies, babies and kids, etc) or by value (gluten-free, vegan, paleo, etc). They offer free shipping on all orders over $49 so it makes sense to stick to monthly orders, which I find easily meets that minimum. They ship to all addresses in the Contiguous U.S.
That’s a lot of money if you decide not to use it, which is why you should take advantage of the FREE 30 day trial. I’ve been a member for two-ish years now, but not continuously. I took a hiatus when my membership expired, then ended up rejoining only a couple months later. I found the convenience, selection, and prices worth it for the types of food and products I buy for my family on the regular. I also like that it makes trips to the grocery store faster because it allows me to mostly avoid the inner aisles. 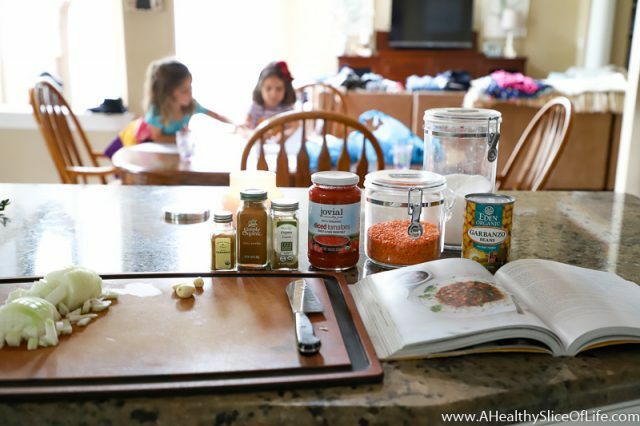 Using Thrive Market also partners well with shopping at the farmers market, as it provides all the pantry essentials that you don’t often find at local markets. I also end up trying a new product every time I order and it’s been great being able to easily access and try so many of the food trends, like Four Sigmatic mushroom coffee, at their lowest prices. They also have a “deals” section that I always check out and can find an additional 10-20% off some of my favorite brands. Does it save a ton of money? It completely depends on your spending habits for groceries and household items. If you are buying all organic from your local grocery store, it will save you money, but if you go from buying the generic brand sunscreen at the gas station to the Badger all natural sunscreen, then it’s not going to be a cost savings, just a quality upgrade. 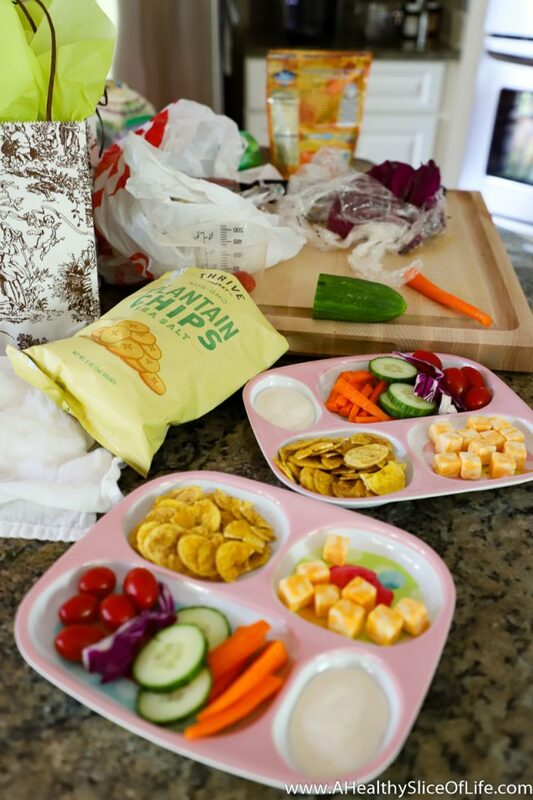 For us it saves some money, but mostly I like it because it is convenient and has the healthy items I’m looking for. Plus I can shop for all those items in one spot… from my couch. Who is it a good fit for? It’s a great fit for health-minded folks looking for dependable good prices and convenience. It’s also really great for those that don’t have access to Whole Foods, Costco, or other health-focused food markets but want the selection of one. Anything else I need to know? Yes! You can and should take advantage of the 30 day free trial to see how it will work for you personally. However, you must cancel your free membership before the 30 days or you will be charged. Any perks for using the sign up link in this post? Yes! Get 25% off your first order and get a free 30 day trial when you sign up using this affiliate link. I hope this has been a helpful peek inside the service. If you have any questions I didn’t address, please feel free to ask! What online stores/ordering do you use on the regular? For us, it’s Thrive Market and Amazon more than anything else! I was a Thrive Market member for a year and didn’t renew bc I didn’t feel my savings justified the $60 annual fee. I shop for the same things I bought at Thrive on Vitacost.com and avoid the annual fee. They have almost all of the things I purchased on Thrive and run promos all the time. (20% off all food is my favorite). They also have their own brand of products (though not as extensive as Thrive) that I’ve been pretty happy with. Just something to check out! I have not heard of Vitacost but I will check it out- thank you! It is great! We left Thrive fir Vitacost and love it! We shop when they have their sales and save much more thanThrive. I used to order through Azure Standard. They have great prices on organic stuff, especially if you buy in bulk, such as grains, flour, beans, etc. but also fresh produce, household stuff and beauty products. No annual fees but you have to order a minimum of $50 to get free shipping. They drop off all the goods at one location for everyone so you have to make sure you are there to pick it up. I am not sure if they are in your area though! I also do Amazon a lot so I probably won’t do thrive market because I don’t want to do two annual memberships….